The ultimate in ski convenience: Chalet Eisfall is directly opposite the Nassereinbahn lift. 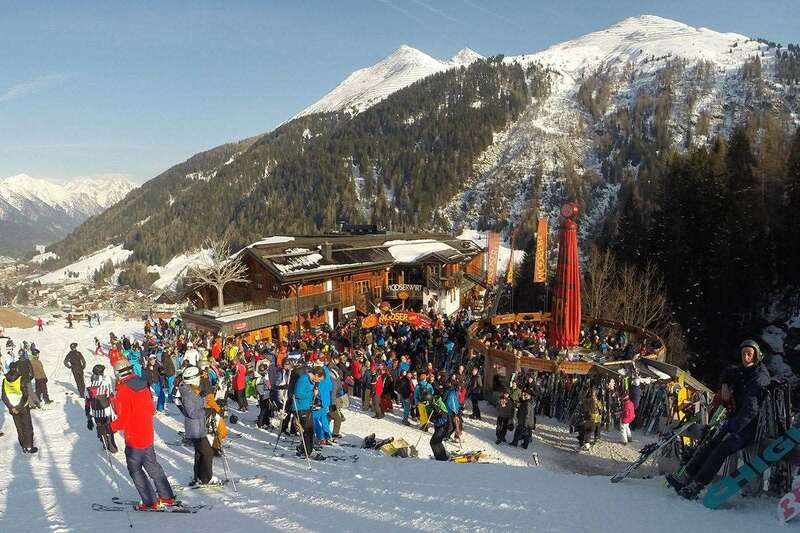 Ski to the bottom of the piste and across the road to the chalet – accessing the skiing could hardly be easier. In the picturesque hamlet of Nasserein, the oldest part of St Anton, the Eisfall is a 10 minute stroll (approx) to the centre of town. Chalet Eisfall is a popular and comfortable chalet. Rooms are off a wide central staircase and are all en suite, airy and comfortably furnished. There are separate living and dining rooms and absolutely ideal for families or groups of friends, is the two-room suite on the ground floor. Room 5 Suite = Austrian Twin with bath and WC and extra sleeping area in adjoining room with an Austrian Twin.